The Special Fillers Applicator is a patented tool to level and remove excess hard wax and ceramic filler without scratching the surrounding area. 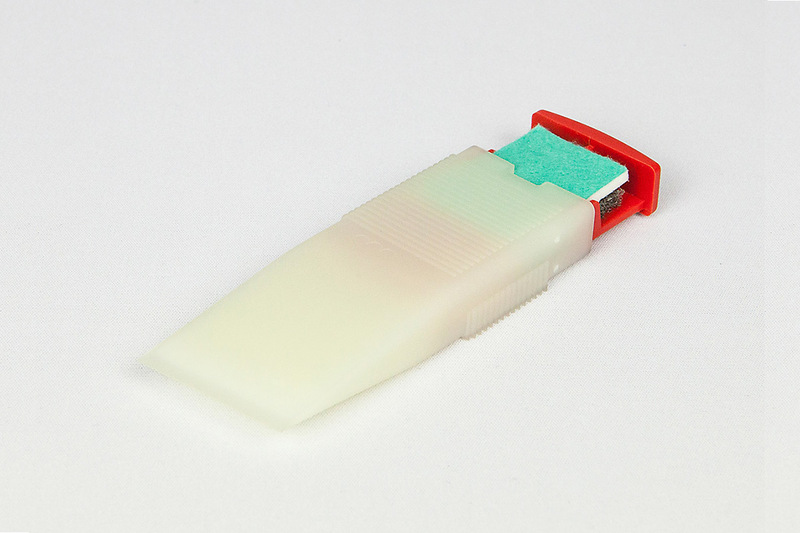 The Applicator consists of: Plastic body with rounded and angled grooves to remove all fillers, a red cleaning comb to clean the grooves as well as a Sanding & Polishing Pad and one Gray Abrasive Pad. With the angled grooves you level off excess filler on the flat area, the rounded grooves you use on edges or rounded surafaces. 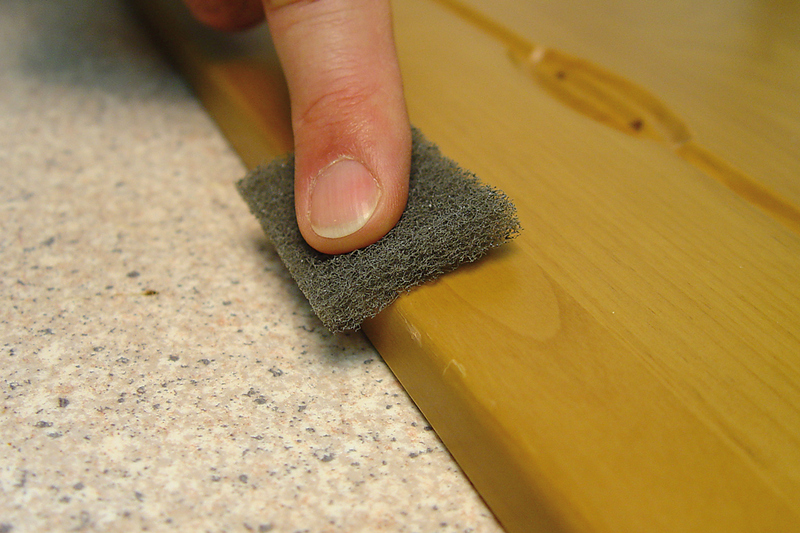 Working with the leading edge: The leading edge is used not only to apply Soft Wax (see picture above), but also to strip off Quick Filler and Hard Wax Matt. Working with the grooves of the Special Fillers Applicator: Use the pointed grooves on the flat area to level off excess filler. 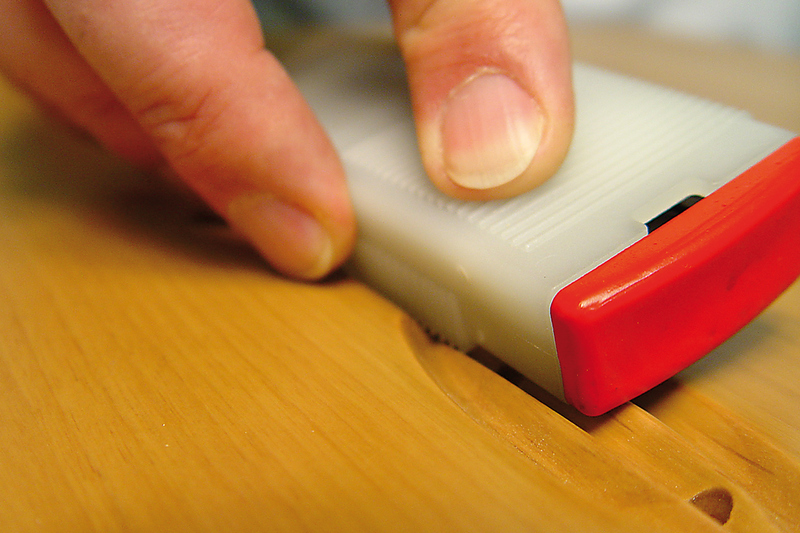 Always use rounded grooves on edges. 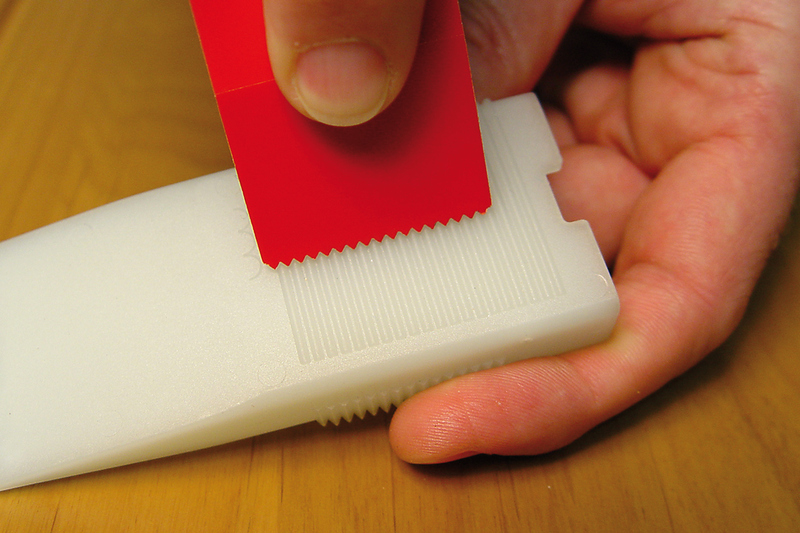 Use on inner edges: Use rounded grooves on rounded edges and pointed grooves on rectangular, sharp inner edges. 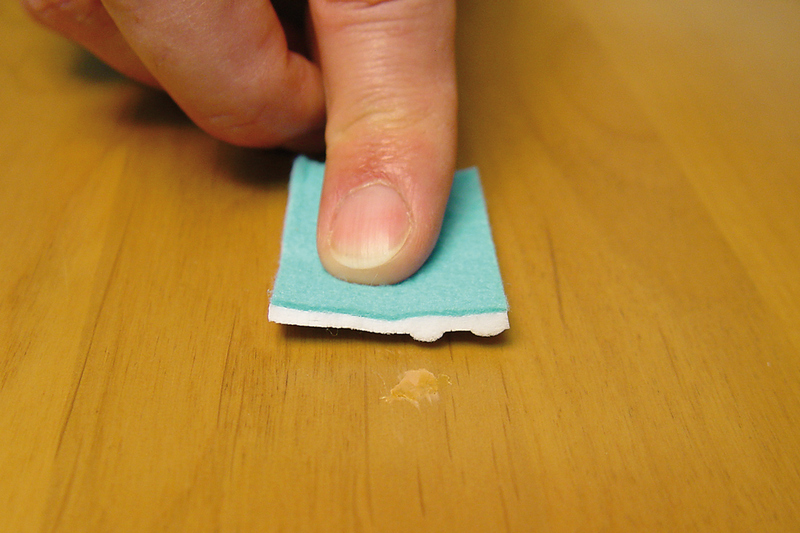 Sanding & Polishing Cloth: Use the white side of the cloth to dull and the green side to polish the filled area. 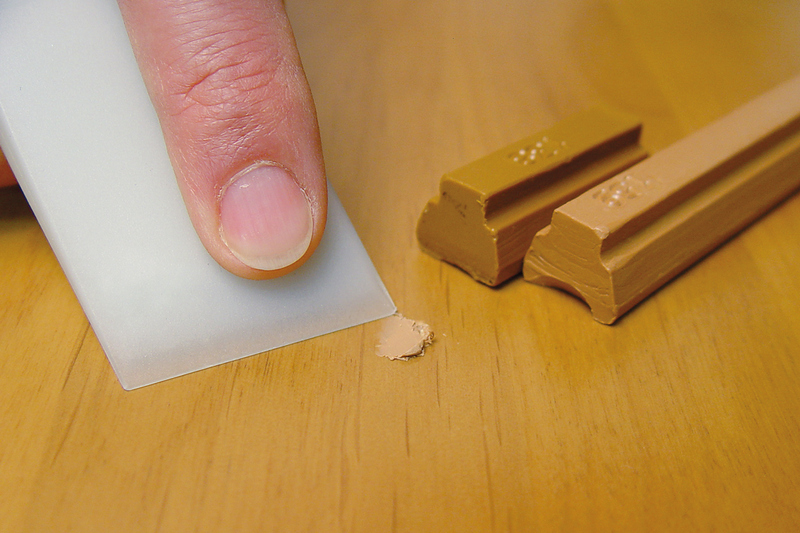 Sanding and polishing: The dark sanding pad is used to sand and to strip off hard filler residue (e.g. Hard Wax).